Volkswagen's Golf GTE can add another accolade to the German automobile manufacturer's growing list after winning the Green category of the annual BusinessCar Fleet Technology Awards. Combining sporty dynamics with exceptional fuel economy and low CO2 emissions, the Golf GTE was first launched earlier this year. It was selected by an experienced judging panel based on its exceptional performance, value and ease of use. 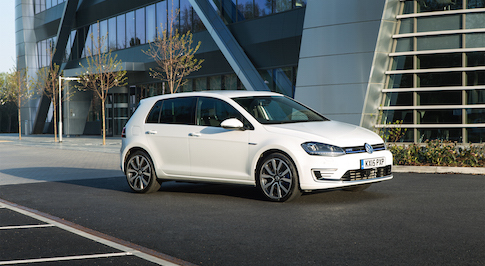 Editor of BusinessCar and judge Paul Barker praised the Golf GTE: "Volkswagen has taken a huge step towards normalising ultra-low emission vehicles with the introduction of the GTE, a Golf that sits alongside its siblings in practicality, price and performance terms. It's a sensible purchase that stacks up on running costs as well as environmental responsibility while proving that electric vehicles can be fun, entertaining, high quality and attractive." Powered by a 1.4-litre TSI engine with an electric motor, the hybrid offers three driving modes and one 'GTE' mode, alongside an all-electric 'E-mode' that provides silent, emission-free operation up to a distance of 31 miles. With a six-speed DSG transmission as standard, the combined power output of the Golf GTE's electric motor and the TSI engine is 201 BHP, while CO2 emissions are just 39 g/km.